FT. MYERS, Fla.--(BUSINESS WIRE)--Jan 15, 2019--Somero ® is pleased to announce the acquisition of the business assets of Line Dragon ®, LLC (“Line Dragon”), a Pennsylvania based provider of concrete placing and hose dragging equipment to the concrete industry. The acquisition offers a unique opportunity to add to Somero’s broad portfolio of differentiated products. Line Dragon complements Somero’s SP-16 Concrete Line Placing & Pulling system, with the combined offering introducing innovative features to customers and expanding Somero’s customer relationships in this market segment. 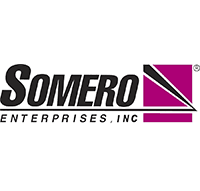 Somero Enterprises, Inc. is a leading manufacturer of technologically advanced concrete placing equipment and associated machinery. Somero Enterprises was founded in 1985 and has grown and prospered by delivering superior products to the global market. Our products are marketed and sold globally in over 90 countries through a direct sales force, sales representatives and dealers. For more information, please visit Somero.com.